Is Coinbase going to solve the thorny challenges of proof-of-stake (PoS) blockchain governance or centralize those systems even further? That’s the question experts in the space are pondering with the recent announcement that Coinbase Custody will offer staking support for Maker, Tezos and Cosmos. The move means institutional investors will be able to vote on blockchain governance matters directly through their Coinbase accounts. That this is possible is because blockchains like Cosmos, Tezos and Maker rely on PoS to secure their networks, unlike proof-of-work chains like bitcoin and (for now) ethereum. How do we incentivize voting? This Coinbase Custody addition was driven by institutional demand, since few PoS token holders so far are actually participating in governance. According to Becker, nearly 10 percent of Maker tokens were involved in a recent vote to hike fees related to ethereum-pegged stablecoin loans. While cryptocurrency researcher David Hoffman estimated only 0.58 percent of unique wallets holding Maker participated, Becker told CoinDesk the turnout was high among institutional holders that are able to vote. Indeed, he said the most recent fee-raising proposal had the highest turnout to date with 61 voters. For many institutional holders, Becker argued, compliance requirements can still complicate the logistics of using tokens to vote. That’s where the recent move by Coinbase comes in. On one hand, a Coinbase voting interface could boost turnout by being convenient for the largest Maker holders, including Polychain Capital (founded by Coinbase’s first employee), 1confirmation (founded by an early Coinbase employee) and Andreessen Horowitz’s crypto fund (co-managed by a Coinbase board member). In response, Coinbase’s McIngvale said the custody solution is a business-to-business tool for institutions, not individuals. So there is scant “user behavior” to track. 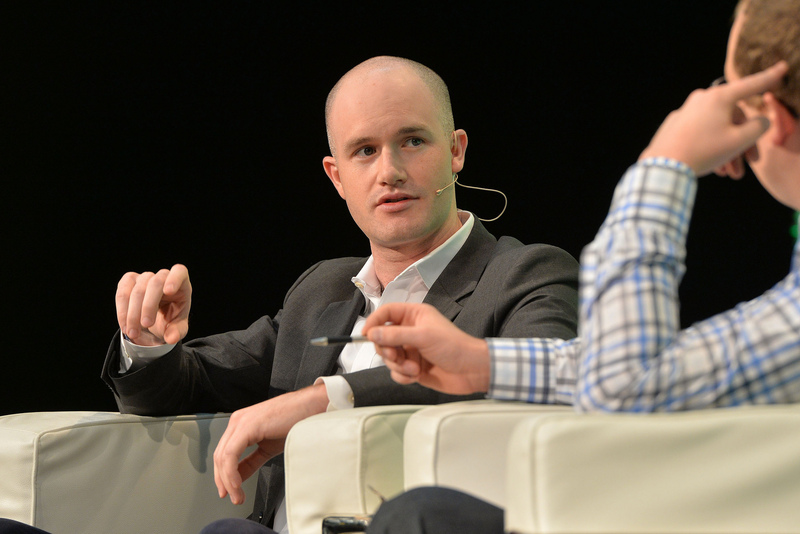 McIngvale said the exchange already custodies roughly 4 percent of Maker tokens, less than the 6 percent Andreessen Horowitz owns by itself. Meanwhile, the Maker Foundation, which employs MakerDAO COO Steven Becker, owns more than 22 percent of the total Maker supply and only sells these tokens to institutions that previous holders like Polychain deem to be committed to participating in governance, according to Becker. Tendermint Inc director Zaki Manian, co-creator of the Cosmos ecosystem, told CoinDesk each of the three PoS assets Coinbase Custody will support requires a unique approach to governance options based on whether the systems automate changes, like Tezos, or merely show sentiment, like Cosmos. Either way, governance is often inseparable from politics. So far, staking votes have appeared to revolve around money rather than infrastructure. Comparable to semi-automated Maker votes about stability fees for stablecoin loans, the first Cosmos vote was an affirmative move toward inflation. “It’s going to be interesting because part of the dynamics of proof-of-stake is how frequently do people just vote to give themselves more money?” Manian said. Coinbase is hardly the only giant entering the game of stakes. On April 3, Binance’s custody provider Trust Wallet also announced plans to support Tezos staking features by the end of Q2 2019. Unlike institution-centric Coinbase Custody, retail-friendly Trust Wallet will create delegation features on the mobile wallet first, then potentially add voting options down the road. Radchenko said he believes custody providers and wallets should offer simplified interfaces for users “to be involved in the blockchain itself” when it comes to PoS governance. From Manian’s perspective, exchange competition will benefit stakers and token buyers. “Binance and Coinbase are both going real hard on bringing these features to various customer bases,” he said. Additionally, Manian said the “elephant in the room” is whether exchanges like Binance and Coinbase will offer governance derivatives – the ability to buy votes without owning the underlying assets – to retain institutional stakers as the competition heats up. So far no exchange has announced any intention to offer such derivatives. To the contrary, Radchenko said that token holders and issuers may be too preoccupied with voting dynamics these days, given how nascent the technology is. Prev Leading Trade Analyst Says Bitcoin [BTC] ‘Still in a No-Trade Zone’; Is $4000 imminent?